If you look up the word “goofball” in Webster’s Dictionary, you will find a photograph of Picasso. Picasso the Goat arrived in 2009 with Chagall. 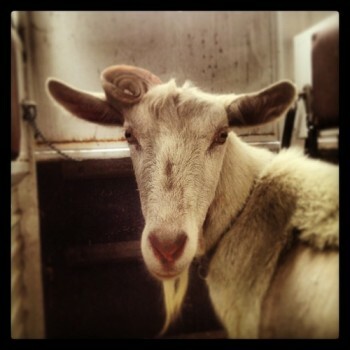 Picasso’s a former 4H goat who is missing one of his horns. Have you seen his missing horn?